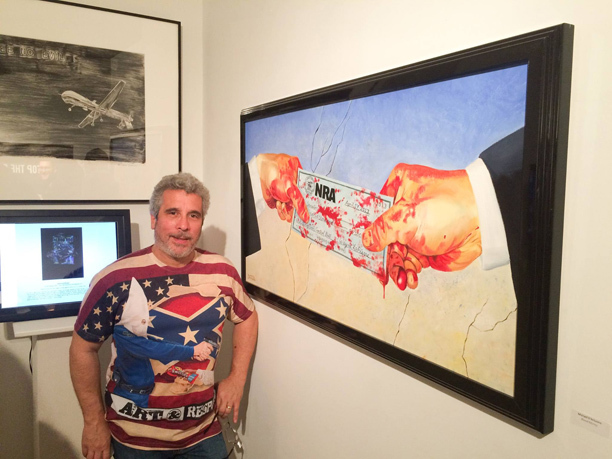 What’s Right, What’s Left: Democracy in America: I was happy to lend my painting, “Blood Money” to this meaningful Chelsea exhibit as the opening coincided with President Obama’s executive action on gun control. 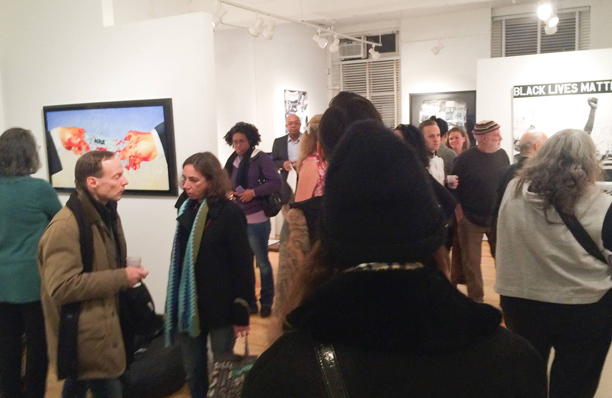 The opening was successful with select artists from all over the world participating. The exhibit runs January 7 – January 30, 2016 at the Phoenix Gallery Landmark Arts Building, Chelsea 548 West 28th Street, Suite 528. Here’s a review by Wall Street International. Come join Michael at Worcester State University on Friday, April 17, 2015 for “A NIght of Activism and the Arts” where he will exhibit some of his best known paintings and speak about the impact art can have on social movements. This event is free and open to the public. I was honored to speak and display my gun control paintings yesterday at the Mom’s Demand Action event at the Towne Crier. Peter Yarrow of Peter, Paul & Mary performed. I only wish Pete Seeger were alive to perform as he had planned. 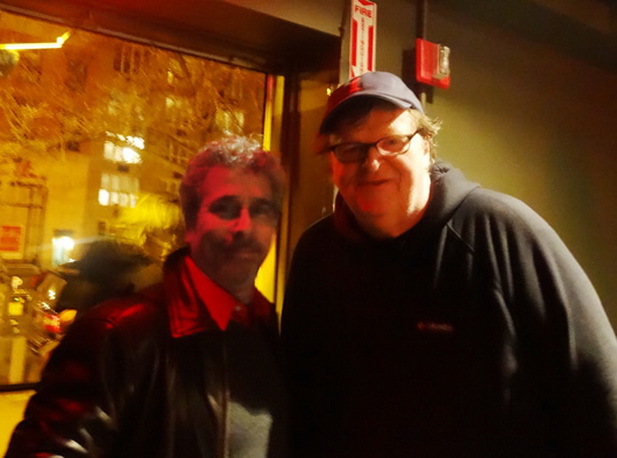 Michael Moore and Michael D’Antuono in NYC at the 10th anniversary screening of Michael’s Moore’s academy award winning film Bowling for Columbine. 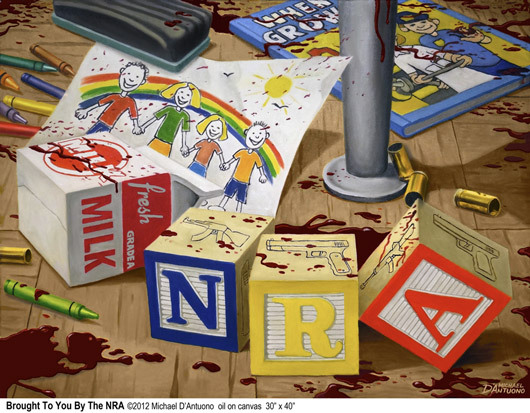 I was moved by the movie as I hope Mike was moved by my painting “Brought To You By The NRA.” A decade later, his film remains just as relevant. The Sandy Hook shootings proved that no progress has been made in the decade since. As a matter of fact, since Columbine, congress let the ban on assault weapons expire. Regardless, Mike has done much to bring attention to the lack of gun control. We thank him for that.